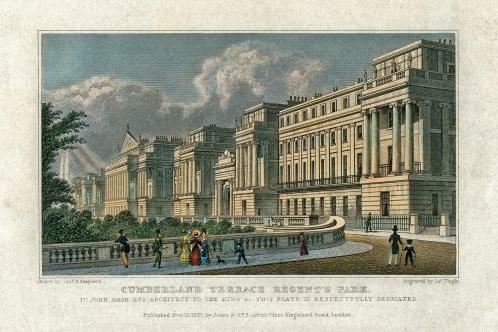 Cumberland Terrace, arguably the grandest of the terraces in Regent’s Park, was named after King George IV’s brother, the Duke of Cumberland. Designed by the Regency architect John Nash, it was completed in 1826 and lies on the eastern side of the park, comprising three main blocks linked by neoclassical-style arches. During the Second World War Regent’s Park was badly damaged by bombing and its star seemed to fade in the postwar period as offices encroached on residential space. Today it has regained its cachet as a smart address, largely because of the Nash factor. Celebrities who have flocked there in recent years include Tom Ford, Stefano Gabbana and Sacha Baron Cohen. 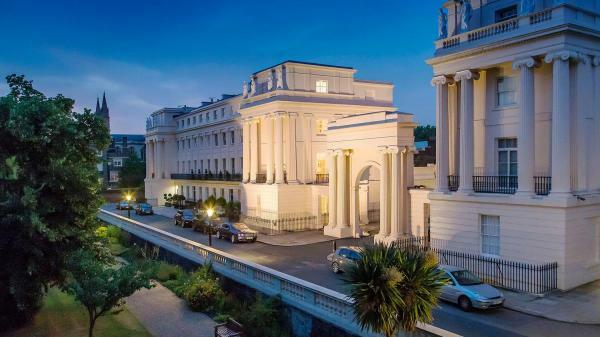 Now you can join the beau monde because one of the grade I listed houses in Cumberland Terrace is on the market through the joint selling agents Carter Jonas and Knight Frank. The price tag is £15 million, a bargain compared with the £39.5 million Damien Hirst reportedly paid for his home in nearby Hanover Terrace. The owner, Serena Rees, is used to mixing in elite creative circles: she cofounded Agent Provocateur, the luxury lingerie business, and is the former wife of Joseph Corré, the son of Vivienne Westwood and Malcolm McLaren. 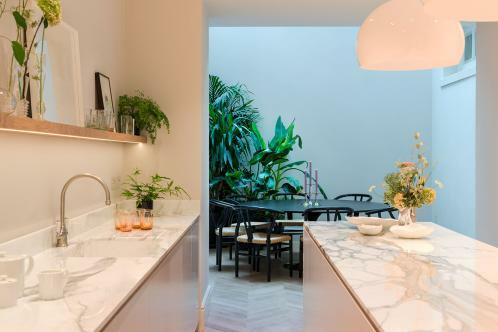 Aside from her business ventures, Rees has a longstanding interest in architecture, and after buying the property three years ago she extensively refurbished it, knocking through walls to create open-plan spaces and filling rooms with antiques, prints, plants and sculptures. “I love the beauty of the old mixed with the new,” says Rees, who had to liaise carefully with the Crown Estate (which owns the freehold of the terrace) and English Heritage. The five-storey home is laid out over 4,725 sq ft, with five bedrooms — the master bedroom occupies the entire second floor — and five reception rooms. 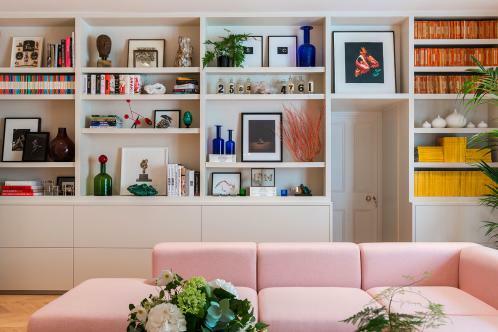 Each room presents a different hybrid of tones and fabrics, from marble tables to pastel-pink felt sofas, but the look is tasteful, not brash. “When you have an interior designer, they make everything match. I really wanted to avoid that formula,” says Rees.